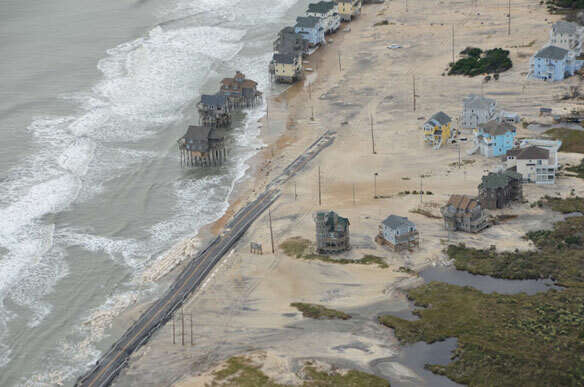 Aerial pictures of North Carolina’ s coast, after superstorm Sandy devastated the area. Highway 12. Photo courtesy of: © A PSDS / WCU Photo Gallery.